The LM stickers have arrived! 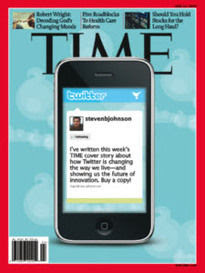 Now that it is on the cover of Time and has been featured on Oprah, it is unlikely that most have not heard of Twitter. For the last year or so I have been trying to explain to myself and to others what Twitter is, and it is only in the last several months that I have come to at least a more concrete answer to that question. Ashton and Oprah do a good job giving examples (such as the power that Twitter returns to the individual over the news media) but those seem to be "effects", not an answer to what it is. Said simply: Twitter is a broad window into what and where people are feeling, doing, and saying. Said more technically: It is location-tagged, microblogging over text. THEN Twitter allows all of us to talk to all of us across the phone and the internet. I know...I know, of course you get it, but what does this mean? really? "Twitter is a broad window into what and where people are feeling, doing, and saying." 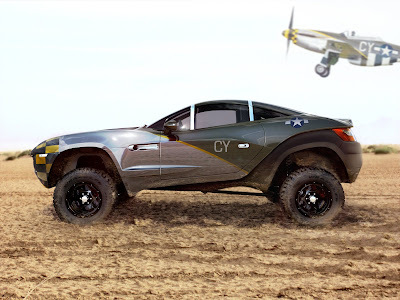 Though Local Motors is not in the same business, it actually matters for the same reason that Twitter does. We access and deliver local content to the people who are interested - open and available at all time for people to see. 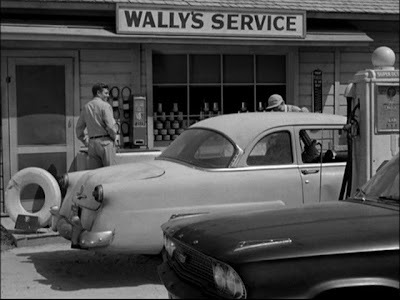 Our micro-factories and regional focus on car manufacturing, selling, and service is a return to a connectedness between company and consumer last seen in the days of Wally's Service Station in Mayberry. We use 21st century tools to re-establish this connection, but the connection and the feeling is the same. We want to know what you are thinking locally and we want to deliver that to you in your auto experience. It should be no surprise that we also therefore use Twitter (#localmotors, @localmotors, @johnbrogers). Gone is the days of the Mass product and the Dealership. On the night of, came the Hotwash (a term we used in the Marines for a quick debrief after an intense engagement), now here we have a more complete post with pictures. 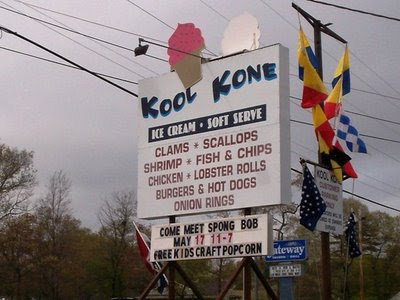 -All were fed, great burgers from the Kool Kone - Local Burger joint run by Tom Strom. -All (or most of age) had a Narragansett (local) beer. 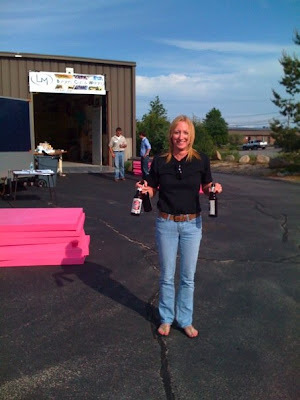 Getting ready for the 'Gansett event shown here is the multi-talented LM team member, Karin Drake Ostebo. 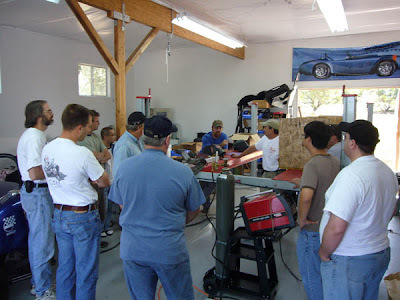 -All learned something about welding and about vehicle rear suspension... specifically the Watts Link, demonstrated by LM Master Welder, Colby Whipple, (facing camera, on left, in black) and Chief Motorhead, Jay Rogers (pointing and talking...as usual:)). -People came from all over. NYC to France, and across all jobs - auto techs, finance, marketing, clergy, parents... what a diverse and wonderful crowd. 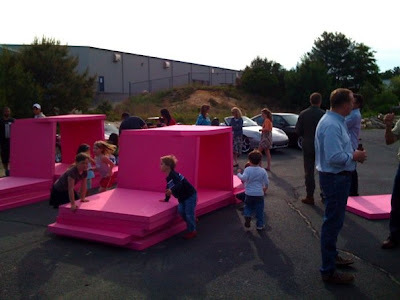 -Kids played in heaven in the pink foam squares. 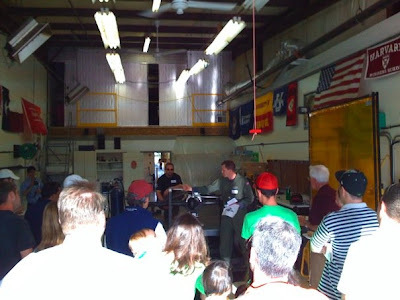 -Adults mingled and learned about the automotive industry's newest entrant. 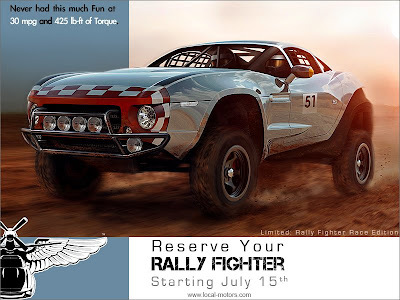 -The Rally Fighter was exposed for the first time to the prying public. -Everyone is ready to come back with a friend who loves cars on July 10th at 5 pm. 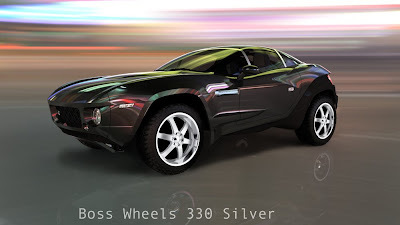 "to introduce Local Motors as a local car company that is reinventing the way in which people experience cars." We achieved that goal in spades. Join us at the next one July 10th 5pm. 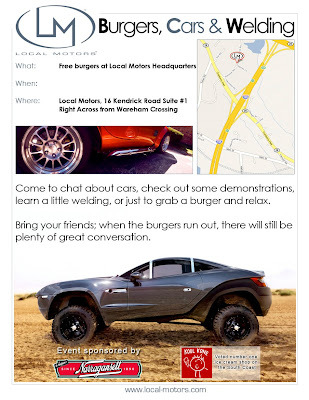 The burgers, the teaching, the fun, and the Pride in Local auto is free! The bragging right to say you attended the few events where it all began is priceless. Two Big Stories today on LM - Both about LM, only one knew it and one did not. What detroit can learn from the apple store. 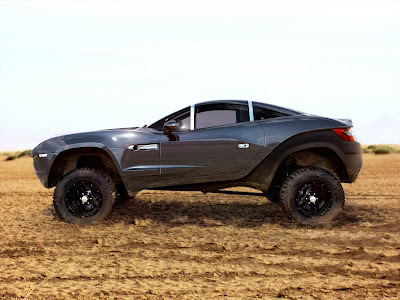 Jeff details in explicit terms why the Local Motors model is disrupting the status quo industry. The mass market is dead, replaced by the mass of niches. I don’t want the same car you want. I want choice. Hundreds of microfactories can give it to me. Eliot writes a compelling thought piece on dealerships being a thing of the past, building upon the precise theme that Jeff ends with. Only Eliot does not even know that LM exists. I rarely make requests of you, our earnest LM Vision readers, but here is a simple one. Write Eliot and his editor, John, a note, and let's help them to write the story about LM that was already embedded here. America needs to know that automotive is not only alive but coming on strong. Tell them that you saw the article on What detroit can learn from the apple store. And maybe it should have been "What Local Motors is doing to bring Apple Stores to Automotive - the birth of the Micro-Factory". .....especially now that Hummer is going to be Chinese....Yikes. Unless you are not plugged in to any type of news the title of this post will be synonymous with the fall of an American Business Icon. Though the details are readily available below, first, some stunning facts, all of which are part of the pain of watching a Company, once so strong, fall into bankruptcy. GM's press release claims that it has reached an agreement to "accelerate its reinvention and create a leaner, stronger "New GM".... reinvetion? .... It has gone bankrupt and destroyed all of the value of its equity and much of its debt. Taxpayers just finished lending $19.4BN to GM and will now inherit only $6.7BN of bonds. What a loss! We will now lend another $30BN ($15BN available (i.e. spent) immediately today) to GM in exchange for $2.1BN in Preferred Stock and 60% of GM's Common Stock. Another loss? What could other businesses do - and who could they employ - with $49BN of capital? ....This is Painful, but please read on. GM has blamed most everything on most everyone but themselves: "last week, G.M.’s newly retired vice chairman, Robert A. Lutz, said the automaker had experienced a 'world of hurt, much of it not of our own doing.'" What? In the end, the management was in charge and they (and their predecessors) should shoulder the burden. Who's doing was it? The benefits paid to employees still seem to be outsized. For a prominent example, Rick Wagoner, recently ousted CEO, left a month ago with $20.2MM in pension, because the Company was barred from paying "severance". Who cares whether it is called severance or pension benefits? $20.2MM seems like a lot no matter what you call it for the CEO of an about-to-be bankrupt company. We could all be upset with this outcome in the face of the bankruptcy until you read that only $1MM of that CEO pension was guaranteed and that the rest may never be paid if the Company goes bankrupt...which, again, it has. I am not sure now whether to feel justified or sad or both. Please note though that only certain high-level execs like Mr. Wagoner could lose their outstanding pension benefits, whereas the rest of the employees will see theirs. And watch the fine print in the future, becasue when the dust has cleared, and no one is watching, I wonder what Mr. Wagoner will actually be paid? This is just messy and sad. 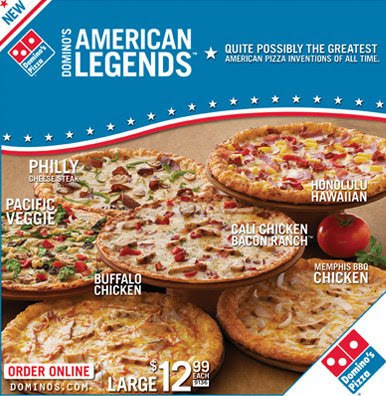 It is hard to know whether to feel pity or anger, since we all own this company now. A decade ago, GM's stock stood at $70 per share. It closed at $0.75 per share on Friday and is worth nothing ($0.00) as of yesterday. GM has been removed from the Dow Jones Average and delisted from the New York Stock Exchange, and GM's new stock will likely not trade publicly for 2 years or more. In actuality, it will not trade publicly until the public wants to buy that stock, which may be never. Pontiac, Saturn, Hummer, Saab are dead (or sold, if possible). Appears there is a China-based buyer for Hummer. Only Chevy, Cadillac, GMC, and Buick remain. Will Corvette survive as part of Chevy? Again, watch out for the fine print in the future. An American military truck icon - owned by the Chinese. Not Hummer - Bummer. 6,000 dealers in the US will become 3,600 dealers over the next 1.5 years creating job losses of 100,000 and those jobs aren't even on the Company's books. In 1979, GM's U.S. workforce peaked at 618,365, making it the largest private employer in the country. In 2008, GM employed only 116,000 in the US (only 243,000 worldwide). 20,000 of those 116,000 are about to be cut with plant closures associated with the bankruptcy. If you divide up the Government funding the US has offered GM this year by employee it would be $203,703.70 per each GM employee worldwide, or $426,724.14 per each GM North American employee, or $129,973.47 per worldwide retiree. If all of this effort was being made to stem the pain to those losing jobs, there seems to have been plenty of pain-relieving money to go around. Have we really done a good thing. I would have liked to have received$130-426K. Time will tell, but these stunning facts are only the beginning of the story. To learn more, I would start with GM's release. And here is the video to go along with it. DETROIT, June 1, 2009 - General Motors Corp. (NYSE: GM) today announced that it has reached agreements with the U.S. Treasury and the governments of Canada and Ontario to accelerate its reinvention and create a leaner, stronger "New GM" positioned for a profitable, self-sustaining and competitive future. Pending approvals, the New GM is expected to launch in about 60 to 90 days as a separate and independent company from the current GM ("GM"), with two distinct advantages: it will be built from only GM's best brands and operations, and it will be supported by a stronger balance sheet due to a significantly lower debt burden and operating cost structure than before. The New GM will incorporate the terms of GM's recent agreements with the United Auto Workers (UAW) and Canadian Auto Workers (CAW) unions and will be led by GM's current management team. The New GM will execute the key elements of its April 27 viability plan, along with additional initiatives, to achieve winning financial results by putting customers first, concentrating on adding to the company's line of award-winning cars and trucks through four core brands and continuing to invest in green, energy-saving technologies. Under its plan, GM will sell substantially all of its global assets to the New GM. To implement the sale agreement, GM and three domestic subsidiaries have filed voluntary petitions for relief under chapter 11 of the United States Bankruptcy Code in the U.S. Bankruptcy Court for the Southern District of New York, and the sale is subject to the approval of the Court. Because GM's sale of assets to the New GM already has the support of the U.S. Treasury, the UAW and a substantial portion of GM's unsecured bondholders, GM expects the sale to be approved and consummated expeditiously. GM has asked the Court to approve a number of steps to protect current and new GM customers, ensure that its operations will continue uninterrupted during the court-supervised process, and provide for a smooth transition to the New GM. GM dealers will continue to service GM vehicles and honor GM warranties, and U.S. and Canadian government guarantees of manufacturers' warranties are designed to reassure consumers. GM will use its cash-on-hand and a new Debtor-in-Possession (DIP) financing of approximately $33 billion to: ensure an uninterrupted supply of goods and services and provide for other cash requirements prior to closing of the asset sale; fund liabilities to secured lenders; and provide contingency funding to handle any potential unexpected needs. Furthermore, in conjunction with the sale, the U.S. Treasury and the Canadian and Ontario governments will provide funds to administer the wind down of the remaining assets and the closing of the chapter 11 cases. GM employees worldwide will become part of the New GM. "Today marks a defining moment in the reinvention of GM as a leaner, more customer-focused, and more cost-competitive company that, above all, can quickly generate winning bottom line results," said Fritz Henderson, GM president and CEO. "The economic crisis has caused enormous disruption in the auto industry, but with it has come the opportunity for us to reinvent our business. We are going to do it once and do it right. The court-supervised process we are pursuing provides us with powerful tools to accelerate and complete our reinvention, as well as strong safeguards for our customers and our business. We are focused on the job at hand, for the benefit of our customers, employees, dealers, suppliers, retirees, taxpayers, investors and other stakeholders. "We recognize the sacrifices that so many have been asked to make as we have worked to reinvent GM and the automobile," said Henderson. "GM deeply appreciates the support and the demonstration of confidence in our future by President Obama, the Presidential Task Force on Autos, the Canadian and Ontario governments, American and Canadian taxpayers, the unsecured bondholders who are supporting the proposed sale transaction, the UAW and CAW and their leadership, and the men and women of GM, including our retirees. You have enabled us to carry out this vital transformation for the good of GM, our customers and the economy, and we are working to validate your trust each day. "From day one, the New GM will be well-positioned to capitalize on the award-winning vehicles we have developed and launched during the past few years, and on our investments in exciting new technologies like the Chevy Volt, so that we can build and return value to our customers and to the millions who will have a stake in our success. The New GM will play a critical role in the future of the automobile, and assure that the U.S. has a strong stake in this rapidly changing global manufacturing industry," Henderson said. GM's North American manufacturing operations continues to monitor production output to make sure it aligns with market demand, and currently intends to ramp up manufacturing operations as market demand improves during the latter half of the year. None of GM's operations outside of the U.S. are included in the U.S. court filings or court-supervised process, and these filings have no direct legal impact on GM's plans and operations outside the U.S. GM confirmed that all business operations are continuing without interruption in its Europe; Latin America, Africa and the Middle East; and Asia Pacific regions. "Worldwide, GM dealers are open for business, offering competitive financing options on our award-winning vehicles, continuing to honor our industry-leading warranty coverage, and providing outstanding service," said Henderson. "Furthermore, the U.S. Treasury and the Canadian governments have issued a strong vote of confidence by backing GM's vehicle warranties." GM's agreements with the U.S. Treasury, the Canadian and Ontario governments and the UAW and CAW, in addition to the support of a substantial portion of GM's unsecured bondholders, will enable the New GM to be a leaner, faster and more customer-focused enterprise, consistent with the vision, goals and plans of GM's enhanced operating plan announced April 27. 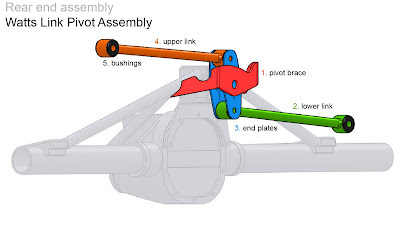 A critical element of GM's reinvention is to achieve a significantly stronger and healthier balance sheet. 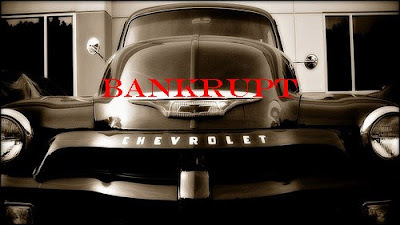 On March 31, 2009, GM reported consolidated debt of $54.4 billion, along with additional liabilities, including an estimated $20 billion obligation to the UAW VEBA. Other than the $8 billion of debt owed to the U.S. Treasury and the Canadian and Ontario governments by the New GM, all amounts owed by GM or the New GM to the U.S. Treasury and Canadian and Ontario governments would be equitized in exchange for the New GM securities described above, and no other debt will be owed by GM to the U.S. Treasury and the Canadian and Ontario governments. GM announced separately today, GM Europe has an agreement for €1.5 billion of bridge financing from the German government and a Memorandum of Understanding to partner with Magna International Inc. Under the agreement, the Opel/Vauxhall assets have been pooled under Adam Opel GmbH, with the majority of the shares of Adam Opel GmbH being put into an independent trust (the balance to remain with General Motors), while final negotiations with Magna proceed. Negotiations to close the agreement should take several weeks. Additional details will be available athttp://media.gm.com/eur/gm/en/. The revolutionary Chevy Volt, an extended-range electric vehicle that can travel up to 40 miles on battery power alone with the extended-range capability of more than 300 total miles. "Our products are our future, and our lineup of new cars and crossovers are a great foundation for success," said Henderson. "The New GM is here to stay, and our brands position us to compete well in profitable segments with vehicles that are second-to-none." GM also reaffirmed its commitment to improve the fuel efficiency of its vehicle fleet, meet or exceed new federal fuel economy and emissions regulations, and push ahead with advanced propulsion technology. 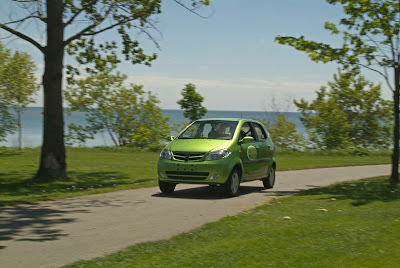 GM will launch the Chevrolet Volt extended range electric vehicle in 2010, expects to have 14 hybrid models in production by 2012, and will have 65 percent of vehicles alternative-fuel capable by 2014. GM's primary bankruptcy counsel is Weil, Gotshal & Manges LLP. GM is also represented by Jenner & Block LLP and Honigman Miller Schwartz and Cohn LLP as counsels. Cravath, Swaine, & Moore LLP is providing legal advice to the Independent Directors of GM. GM's restructuring advisor is AP Services LLP and its financial advisors are Morgan Stanley, Evercore Partners and the Blackstone Group LLP. More information about GM's chapter 11 cases is available at www.GM.com/restructuring. Court filings and claims information are available at www.GMcourtdocs.com. General Motors Corp. (NYSE: GM), one of the world's largest automakers, was founded in 1908, and today manufactures cars and trucks in 34 countries. With its global headquarters in Detroit, GM employs 235,000 people in every major region of the world, and sells and services vehicles in some 140 countries. In 2008, GM sold 8.35 million cars and trucks globally under the following brands: Buick, Cadillac, Chevrolet, GMC, GM Daewoo, Holden, Hummer, Opel, Pontiac, Saab, Saturn, Vauxhall and Wuling. GM's largest national market is the U.S., followed by China, Brazil, the United Kingdom, Canada, Russia and Germany. GM's OnStar subsidiary is the industry leader in vehicle safety, security and information services. More information on GM can be found at www.gm.com. This news release and management's comments on it contain "forward-looking statements." These statements are based on GM management's current expectations and assumptions, and as such involve a number of risks, uncertainties and other factors that could cause actual results to differ materially from those that we now anticipate -- both in connection with the Chapter 11 filings we are announcing today and GM's business and financial prospects. 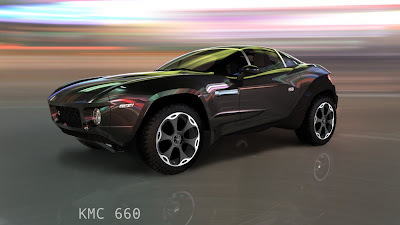 Those risks are described in GM's Annual Report on Form 10-K for the fiscal year ended December 31, 2008 which was filed March 5, 2009, GM's Quarterly Report on Form 10-Q for the quarterly period ended March 31, 2009 which was filed on May 8, 2009, GM's Current Report on Form 8-K filed on May 14, 2009 and other GM filings with the Securities and Exchange Commission.